I love a good outlaw story, and all the better if it happens to be a zoo creature story too. 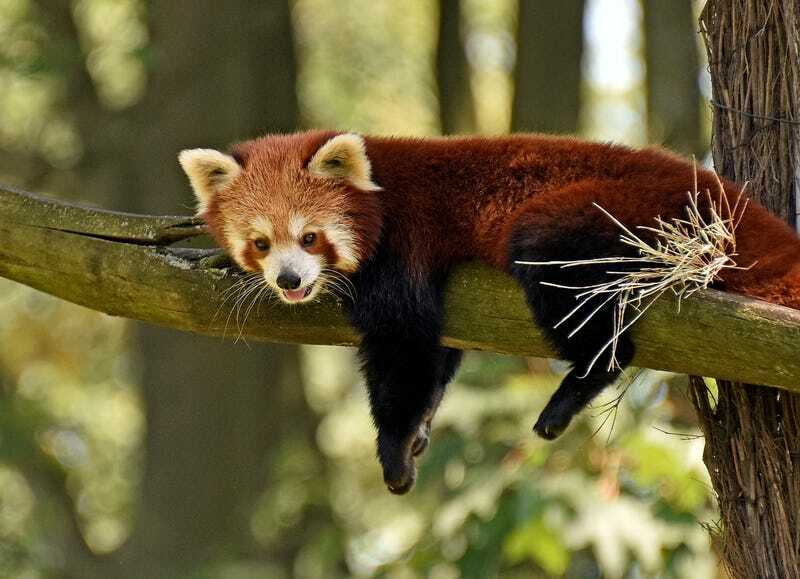 On Monday, a red panda named Sunny escaped her Virginia Zoo faux-habitat, and has not been seen or heard from since. I sincerely hope she is enjoying Norfolk, Virginia! The New York Times speculated on Friday that Sunny might have run away to avoid mating, because apparently all red pandas mate on one particular day (probably just in captivity, the Times doesn’t specify), and that day was fast approaching. Light research neither confirms nor denies the existence of mass, synchronized mating habits among red pandas, however I can confirm the Times’ assertion that, “Red pandas are known for being adorable.” There is consensus on the Internet that red pandas strongly resemble kittens. Especially when they sleep. Officials have been searching for Sunny for days with bloodhounds, infrared cameras, and drones. Many people have tried to rat out Sunny, calling in tips to the authorities claiming to have seen her, but it’s turned out in each case that what these people saw was a raccoon. It just so happens to be raccoon mating season too, providing Sunny with the perfect cover. If you have any information as to Sunny’s whereabouts please don’t blab, you’ve got your own life to live.